Protecting your business from the competition allows you security in the market and gives you better control of your pricing. It is a lot harder for smaller businesses to find ways to create this barrier so they have to be a lot more aware of their market. There are a number of popular ways that you can help protect your business, some of which have been listed here. Whilst most business owners don’t bother at looking into ways to be certified and awards they may be eligible for it is worthwhile. The initial process may be a little time consuming with paperwork and training for your staff but in the long term it will protect you. Certification will act as a sustainable barrier again your competitors and will help your position in the market. Customer loyalty is key for smaller businesses as they will jump to your defense in everyday situations and most importantly online. Having good reviews online is especially crucial now as it is where most people will look to get a feel for your business. Loyal customers will be the first to leave a glowing review and more often than not refute others unsatisfactory claims against you. Whilst smaller businesses would not have thought to integrate Customer Relationship Management software into their systems it is something that can set you apart from competitors. There are a number of free trials you will find online for this software to help you see if it’s beneficial for your business. If ultimately it helps you improve your understanding of customer relations and growth then it is a worthwhile cost. As a smaller business owner this last tactic is not something that should necessarily be your main concern but it is something to bear in mind. A lot of the time a company’s success can be defined by how customers use the name of their service/product. For example most people call a vacuum cleaner a Hoover which is a brand and the same with Cola drinks which are referred to as Coke. By the company name/service or product becoming a verb it creates a huge barrier between them and the rest of the market. In protecting your business you differentiate yourself from your competitors, in turn this allows you to have control over pricing, increase your growth and if you’re planning on selling your business it makes you much more appealing. 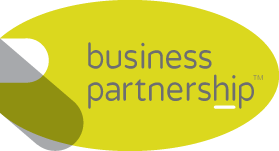 Previous Post Familiar face joins Business Partnership board Next Post Is your business ready to sell?